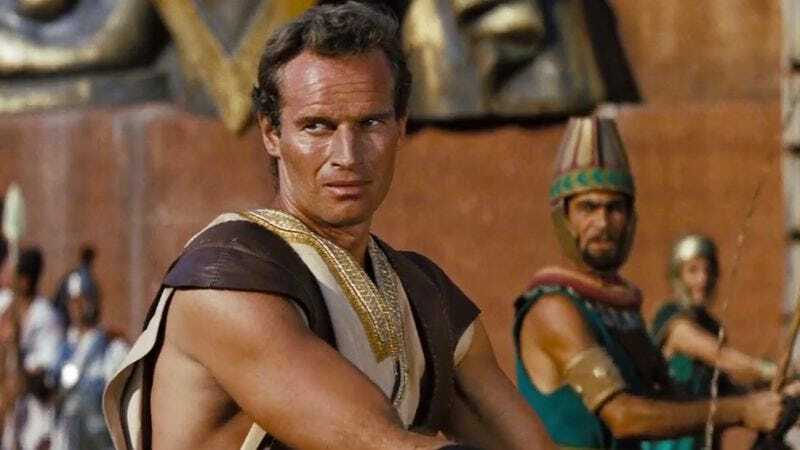 While the recent Ben-Hur remake isn’t doing so well, the 1959 version of the tale remains a classic that has inspired filmmakers, satirists, and storytellers for generations. That film, directed by William Wyler and starring Charlton Heston in the titular role, has one of the most iconic film sequences ever in its chariot race scene in which multiple people are thrown from chariots and dragged by horses, with all manner of excitement ensuing. It’s a thrilling sequence in a film that is full of some of the most indelible images in cinematic history. But is it possible that it also influenced a certain Tatooine pod race? THE ULTIMATE CHARIOT/POD RACE from Fandor Keyframe on Vimeo. A new video produced by Fandor Keyframe and edited by Jacob T. Swinney shows the uncanny similarities between the 1959 chariot race and the pod race from 1999’s Star Wars: Episode I—The Phantom Menace. It’s well-known that George Lucas liked to draw inspiration from films of his youth, so it makes sense that this sequence would leave a mark on the young Lucas. As the cross-cutting in the video shows, the films’ races have a lot in common with specific events happening around the same point in both movies, and the racers’ outcomes are very similar as well. It’s not theft if it’s an homage, right?